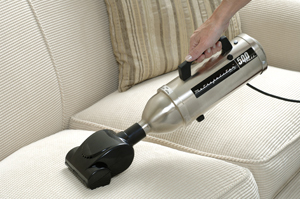 Turn your vacuum into a high powered pet hair eliminator! The incredible Metro Micro Turbo Revolving Brush Tool works on the Metro VM500 series hand vacs to eliminate pet hair, dirt, and grit in fewer passes. Clean your vehicle's carpet and upholstery at warp speed! The compact Metro Micro Turbo Revolving Brush Tool fits under seats to clean every inch of auto interiors. The Metro Micro Turbo Revolving Brush Tool gives your Metro VAC N GO 400 Hand Vac a big boost in cleaning power. The internal turbine blade propels dirt and debris into the vacuum and cleans at a much faster rate than an ordinary attachment. The tool simulates going over the same spot multiple times, yet you only need to make a pass or two with the tool to get carpets completely clean. Use the Metro Micro Turbo Revolving Brush Tool with both the Metro VAC N GO 500 and the Metro 12 Volt Stainless Steel Hand Vac. These vacuums spin the revolving brush at a high speed to extract dirt and hair in one pass. Use the Metro Micro Turbo Revolving Brush Tool on any hard-to-reach or awkward area, like stairs, car interiors, and upholstery. The compact hand vac and Metro Micro Turbo Revolving Brush Tool are indispensible tools for RV and boat owners! 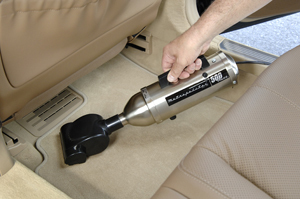 If you're meticulous about keeping your vehicle's interior clean, outfit your Metro handheld vacuum with the Metro Turbo Hand Tool. Metro High Performance Evolution Hand Vac 500 Free Bonus! Metro 12 Volt Evolution Hand Vac Free Bonus! Metro 12 Volt Evolution Hand Vac Plus 3 Ft. Flexible Hose - Free Bonus!